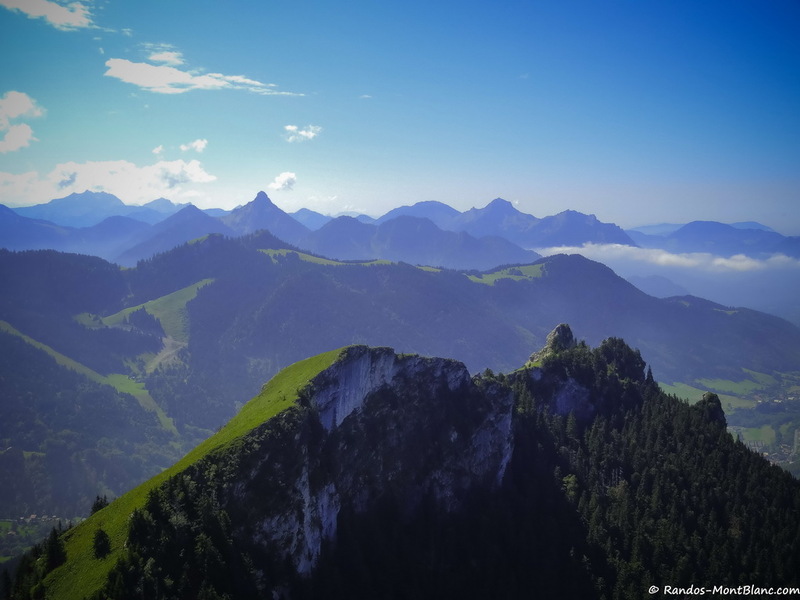 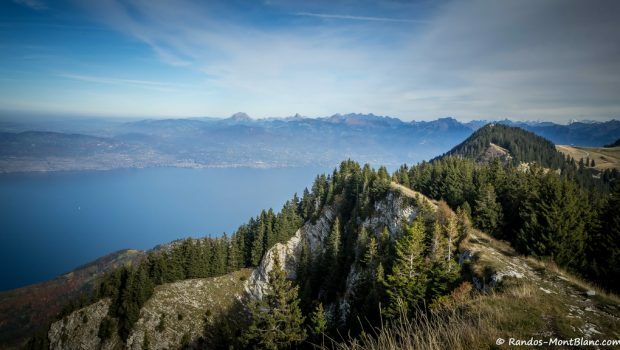 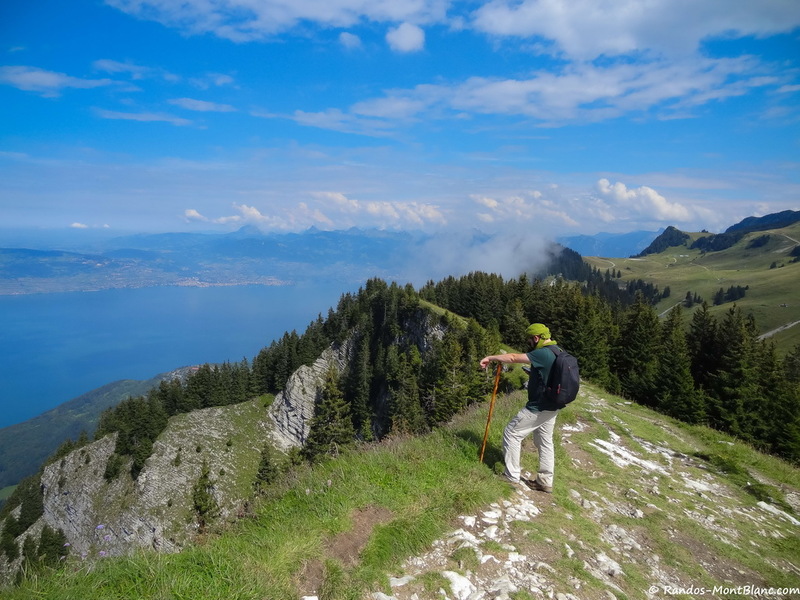 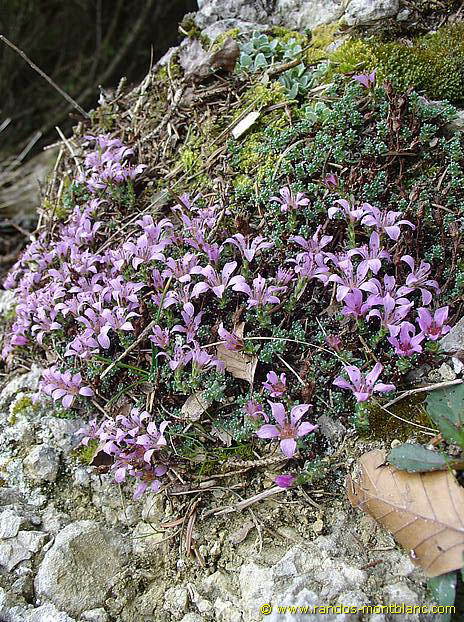 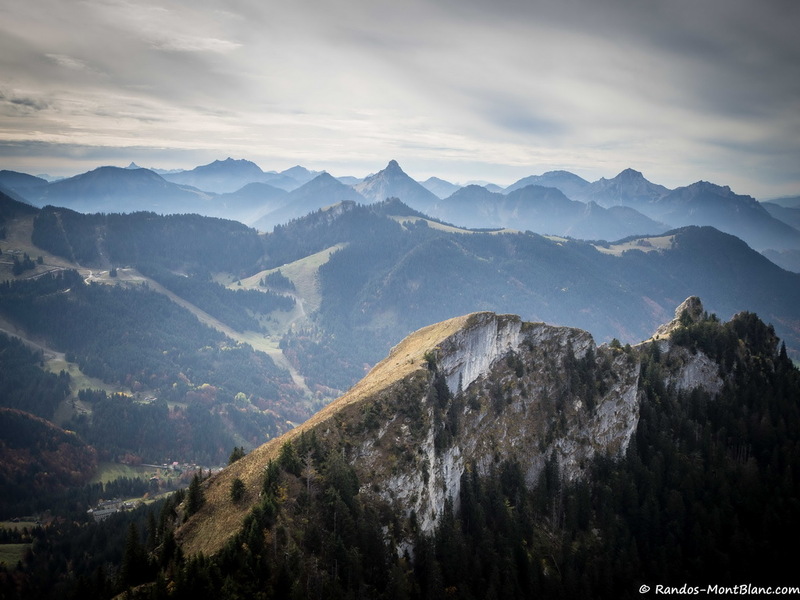 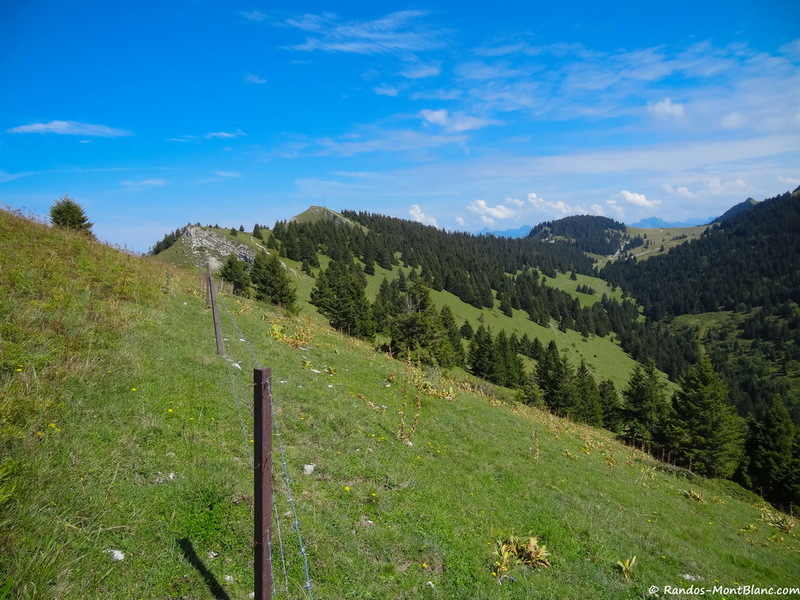 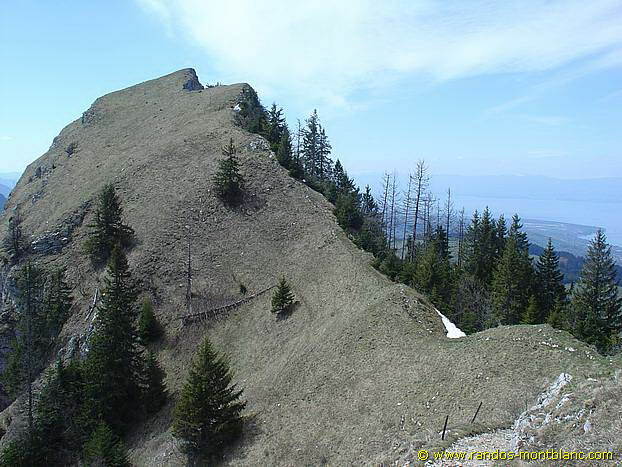 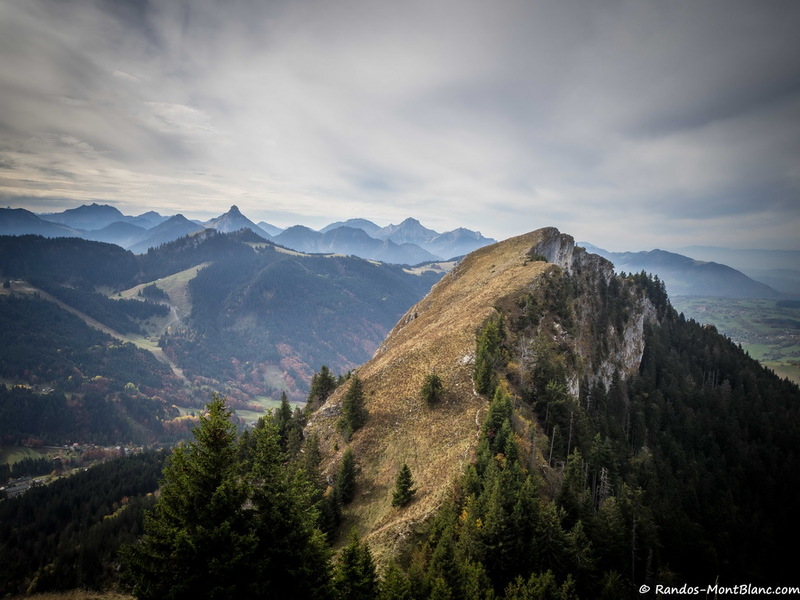 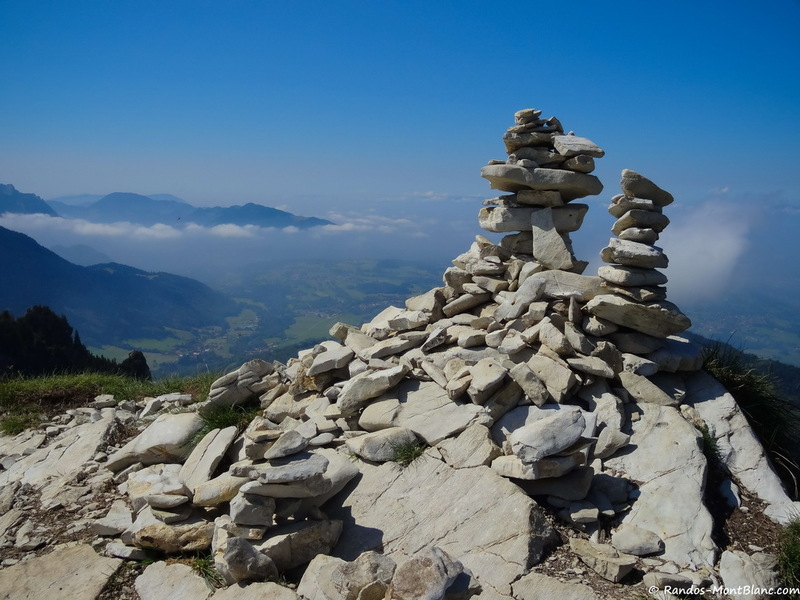 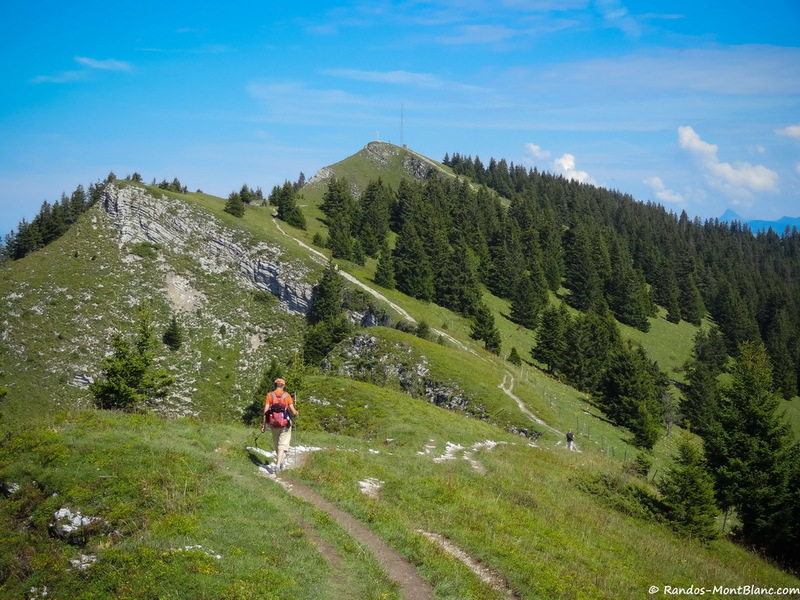 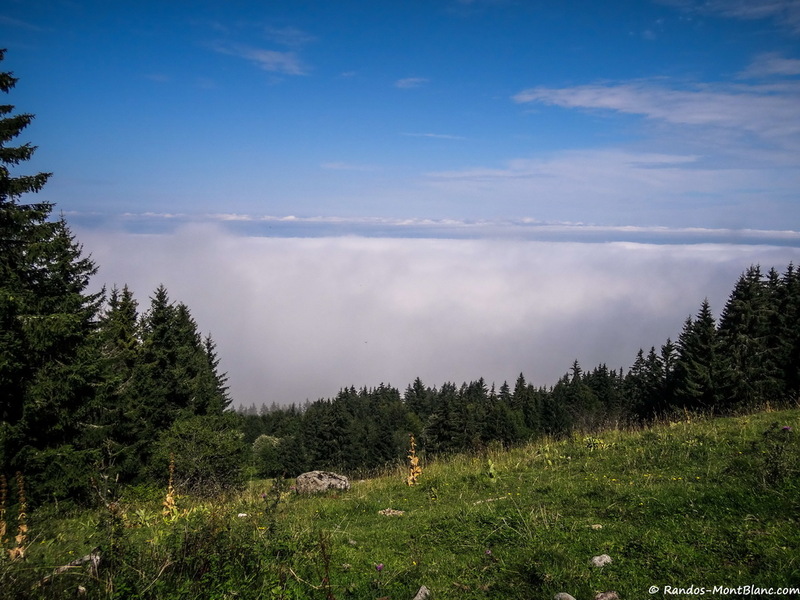 The Balcon des Mémises is the object of a great hike alternating between paths in the forest, easy climbing in big blocks of rocks, and walking along the crests with a beautiful panorama on Lake Geneva, the Chablais, and the Jura Massif. 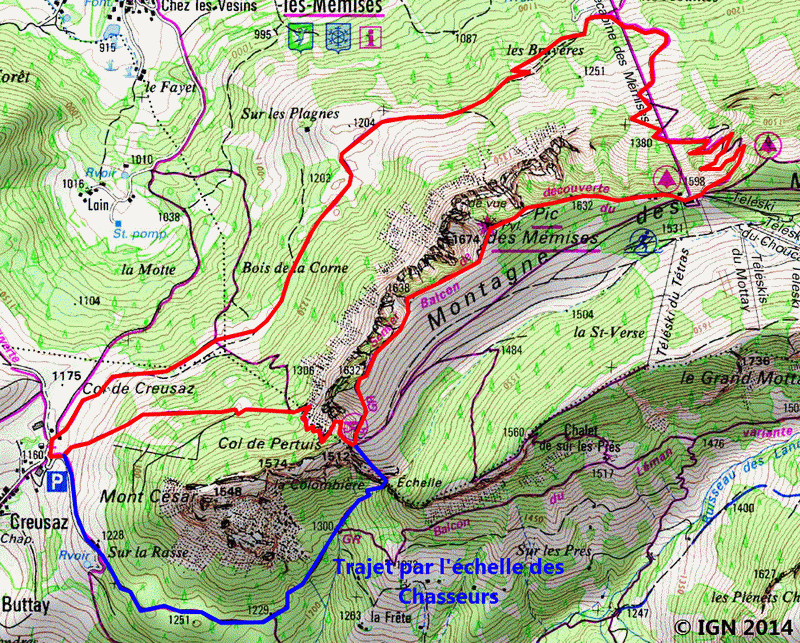 The only difficulty of this itinerary remains the ladder (blue track on the map) which may seem for some as an impassable obstacle; It is possible to avoid it by taking an alternative route (represented in red on the map) bypassing the Mont César from the north. 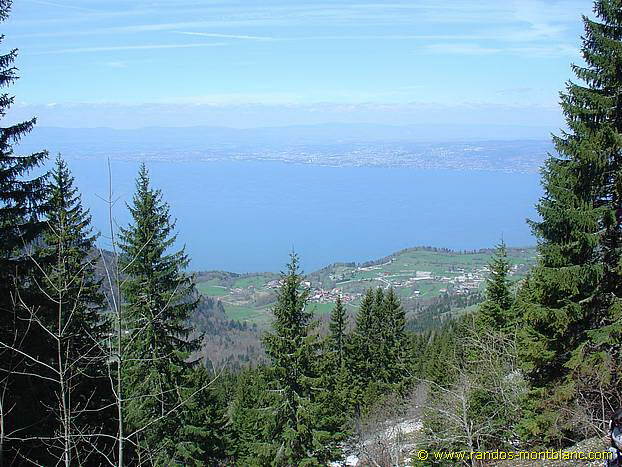 From Thonon-les-Bains, take the direction of Bernex (20 km to the east). 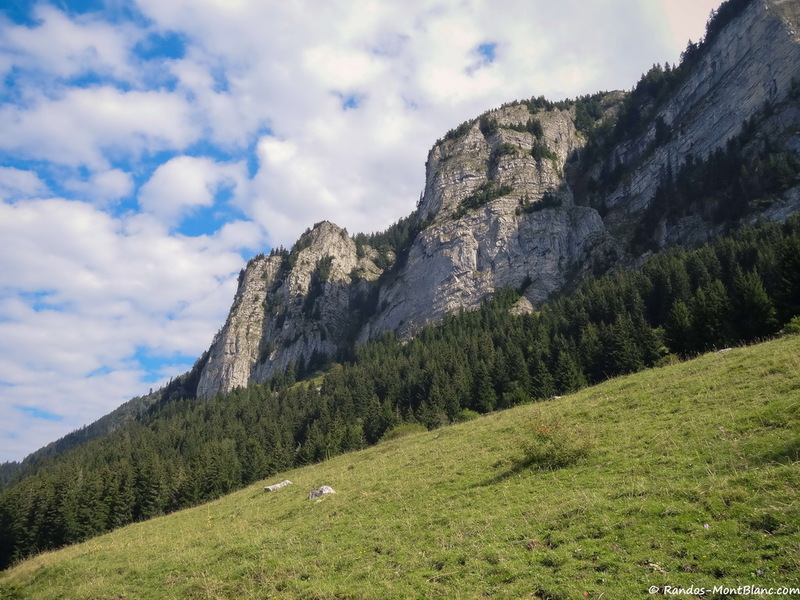 At the entrance of Bernex, turn left towards “Creusaz.” Park the car in the parking lot. 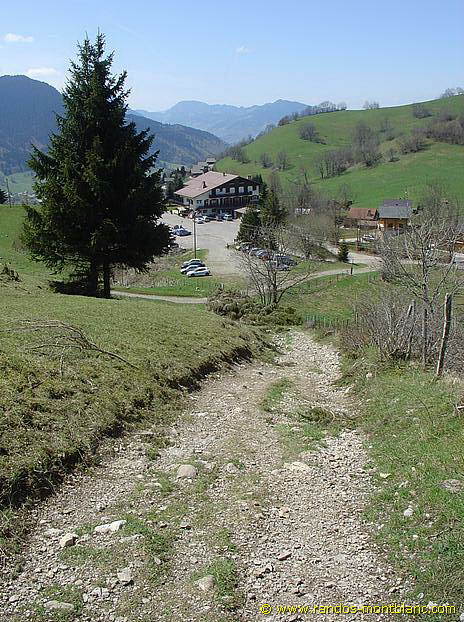 The path begins on the right-hand side of the parking lot. 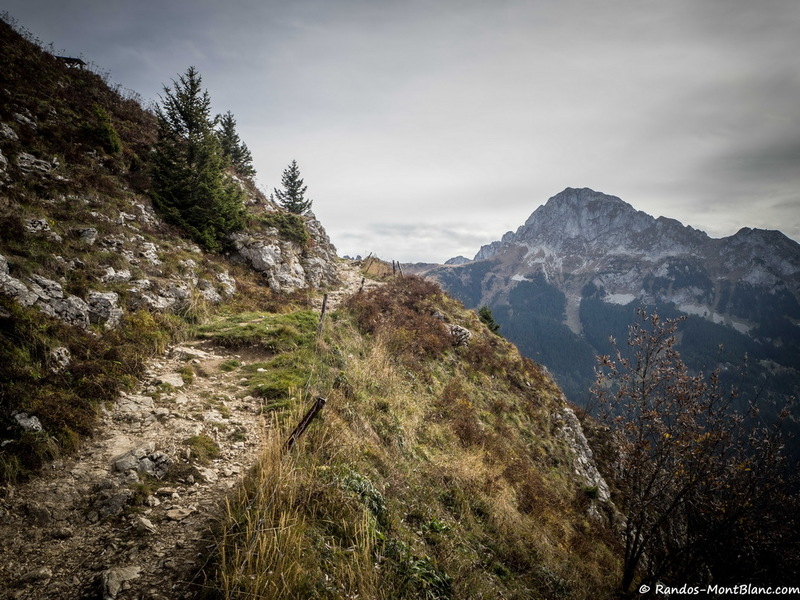 After a slight climb, the pathway curves downhill and then goes straight up to a junction where you have to move to the left in the direction of the cliff. 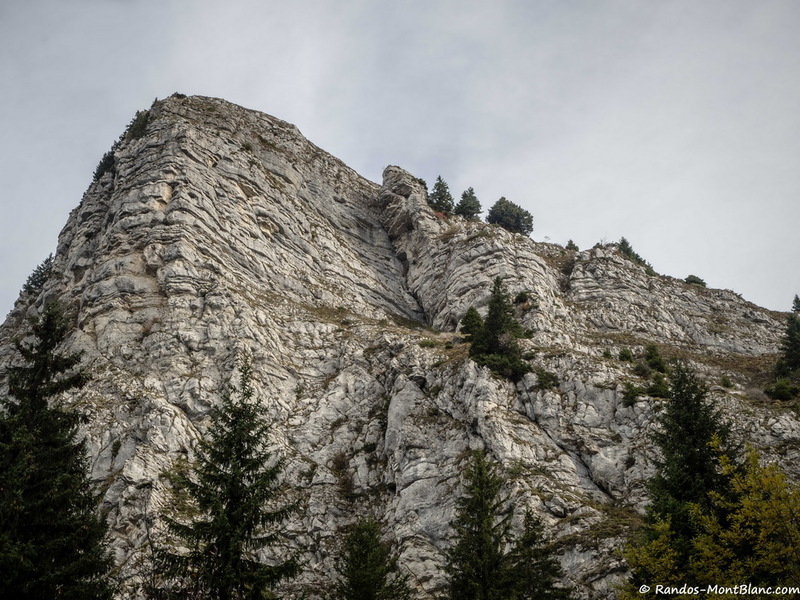 After climbing a few blocks, the ladder appears at the foot of the cliff. 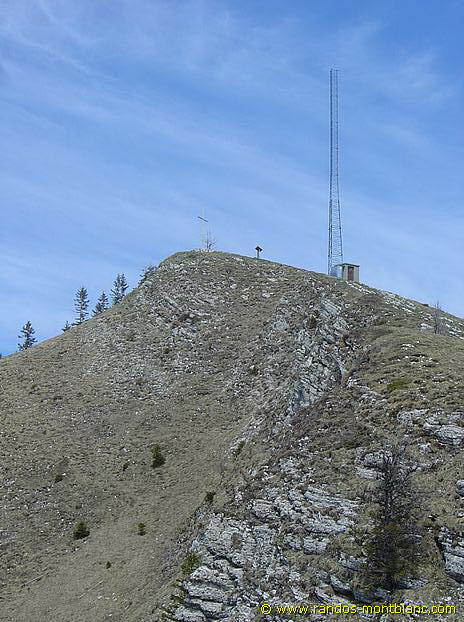 This is the only real difficulty to overcome; There is no risk since the ladder is very well fixed with metal bars of excellent adhesion. 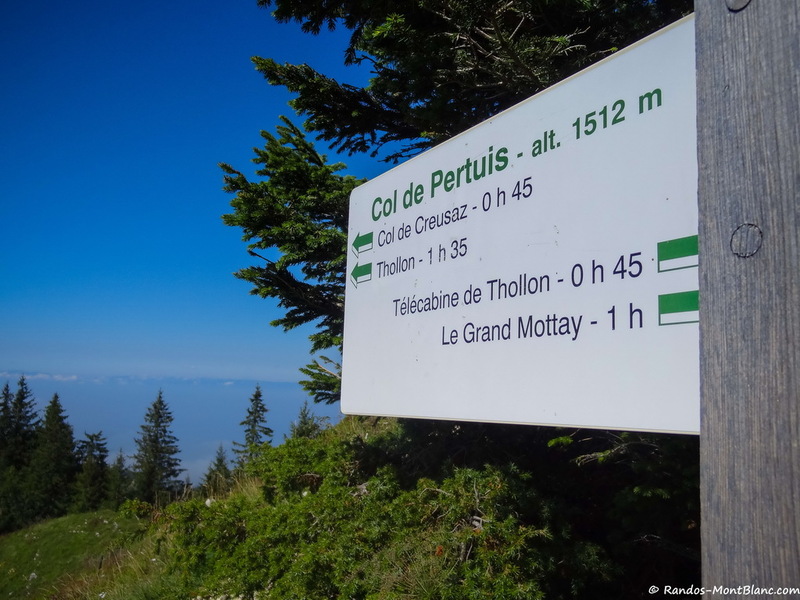 After a short slope, you arrive at the Col du Pertuis. 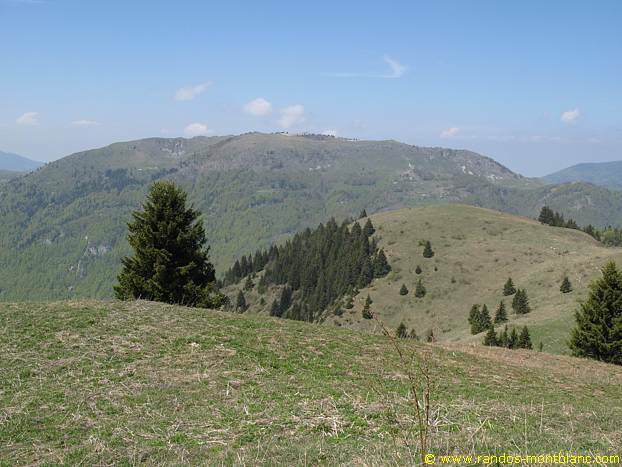 A sign indicates the Pic des Mémises which is reached in thirty minutes following the crest line. 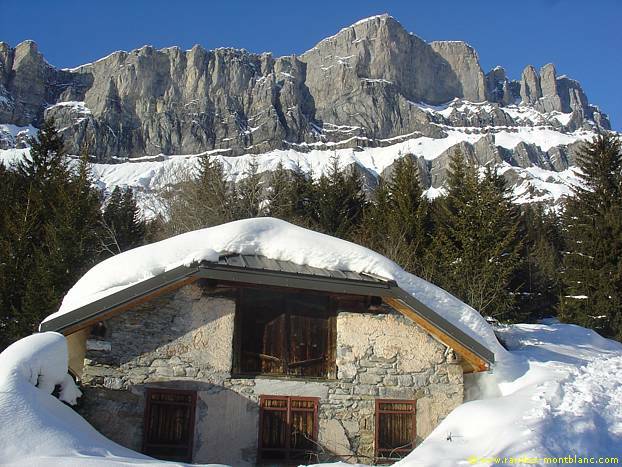 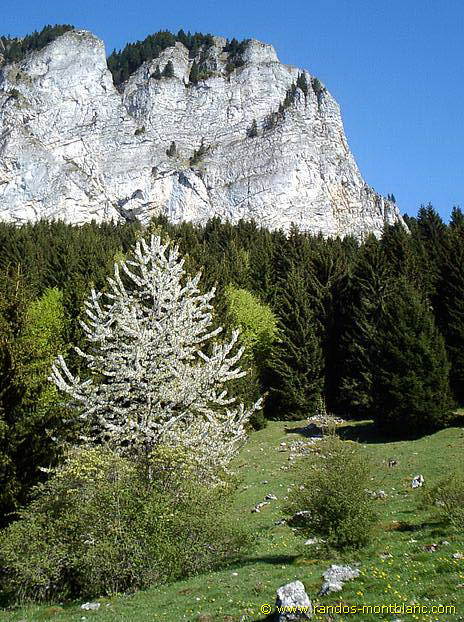 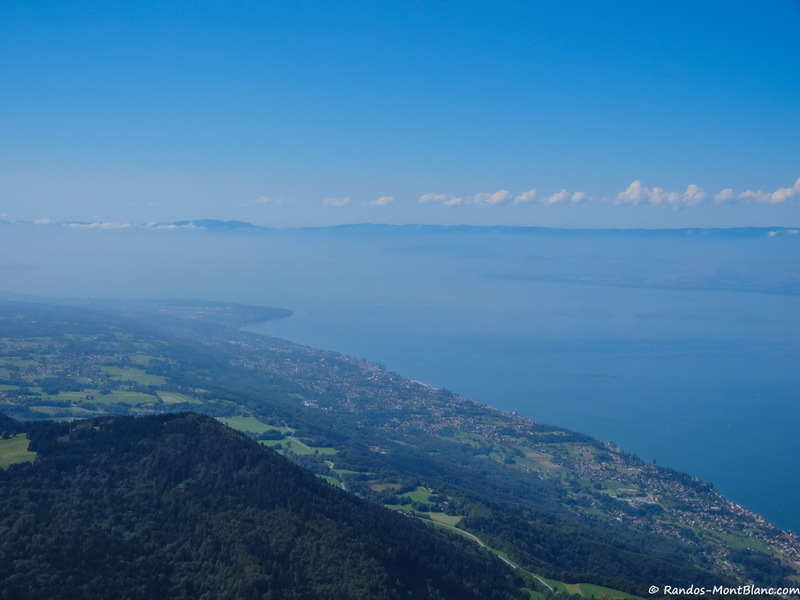 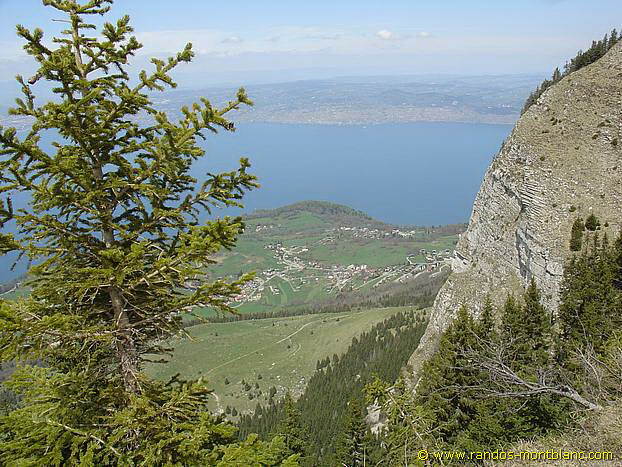 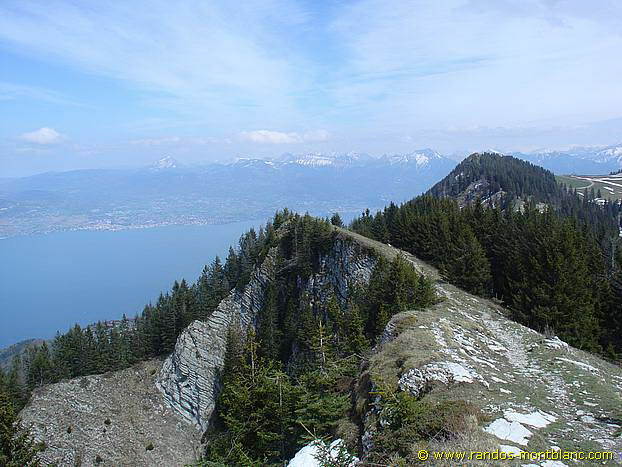 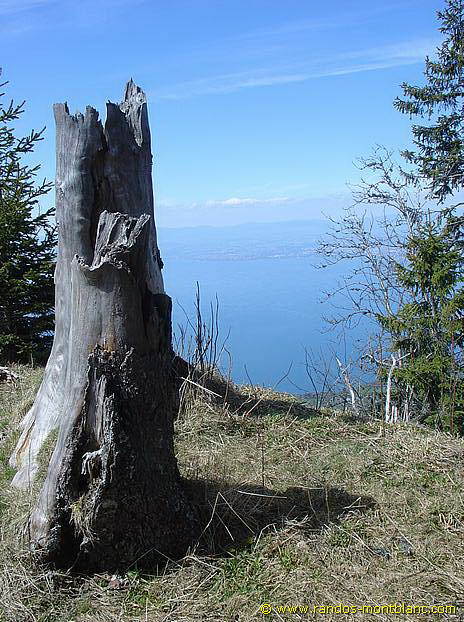 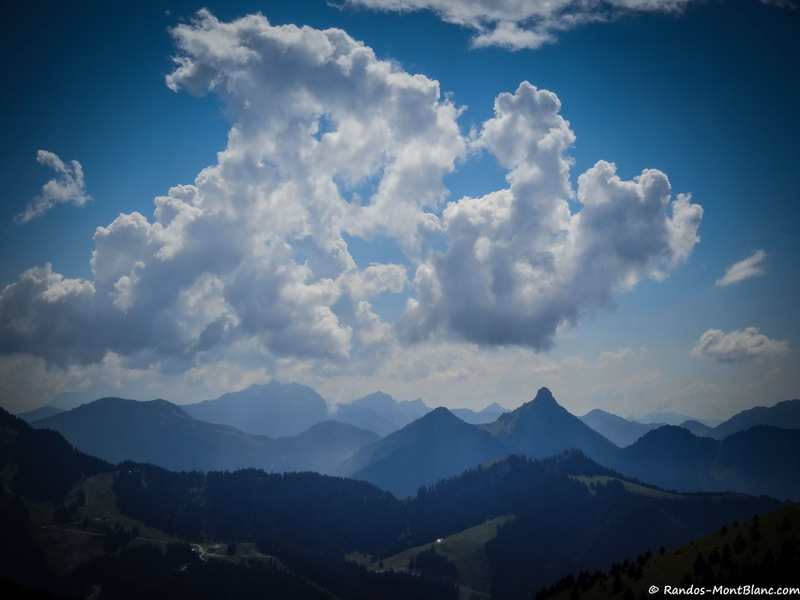 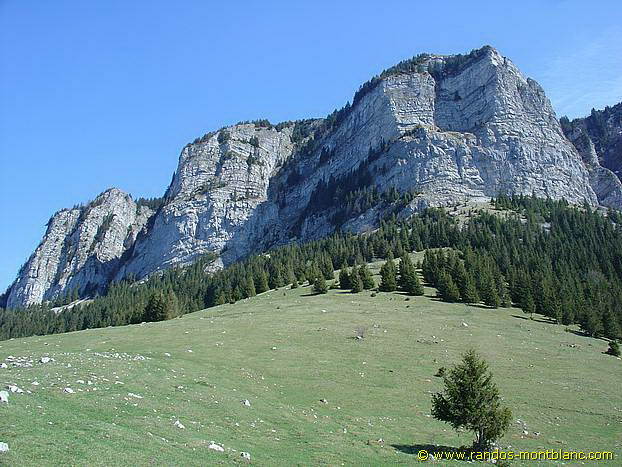 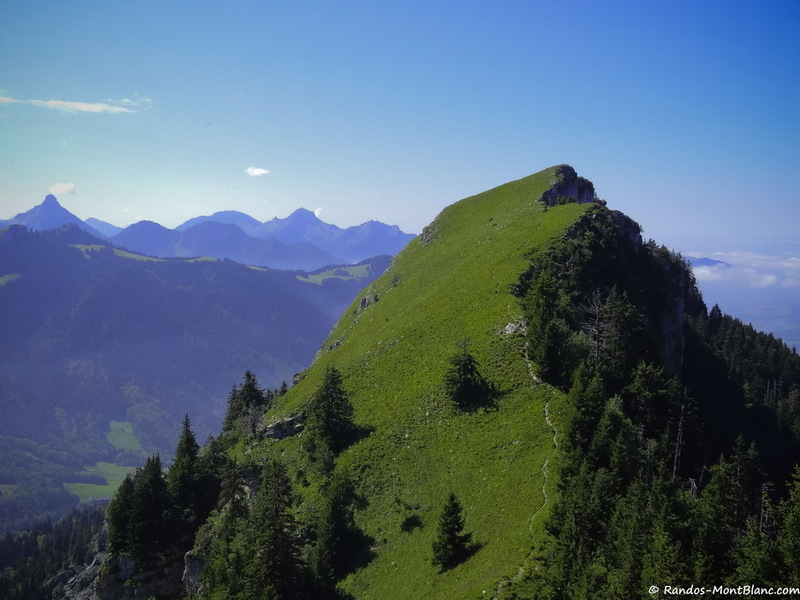 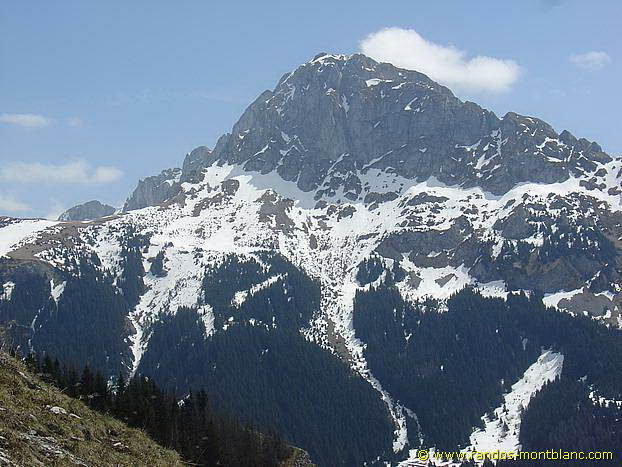 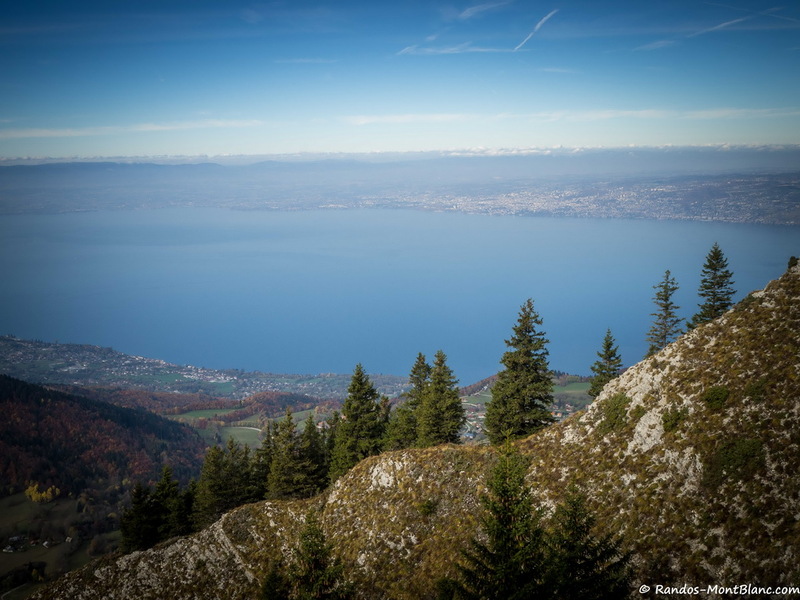 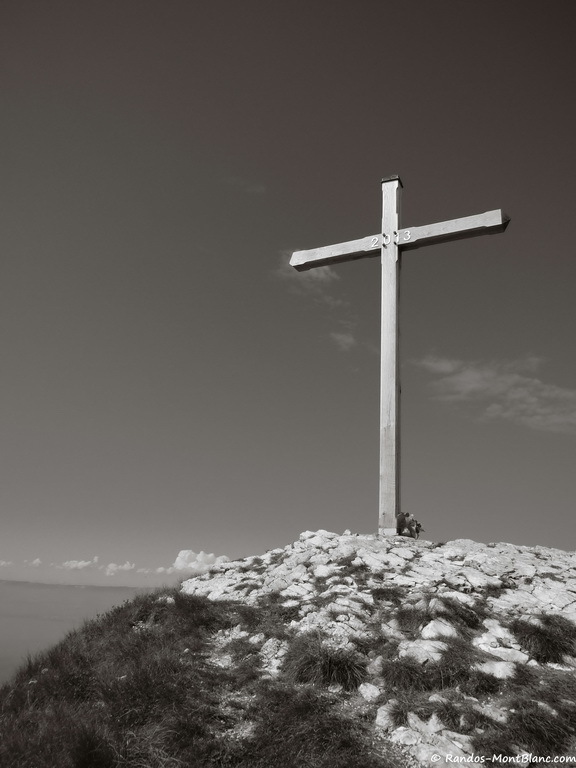 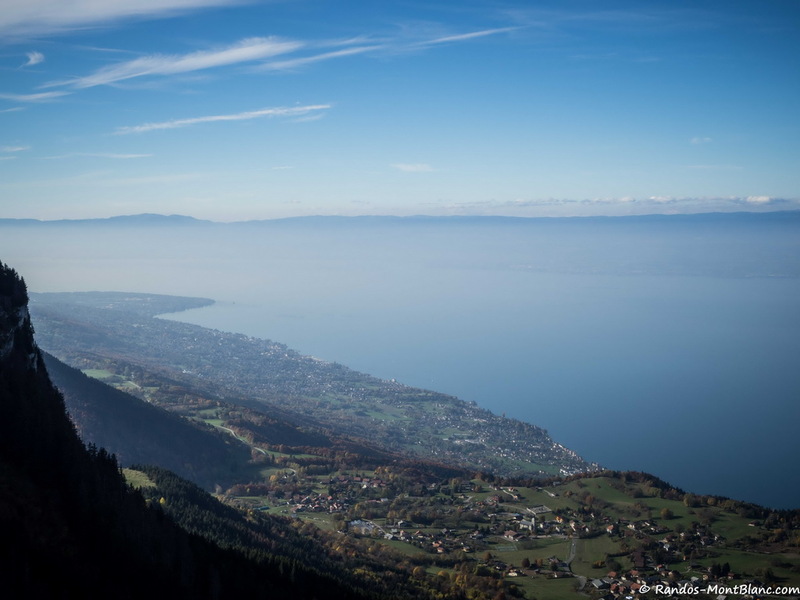 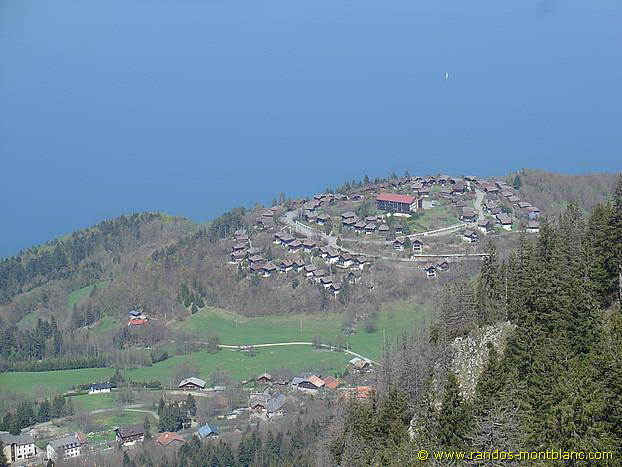 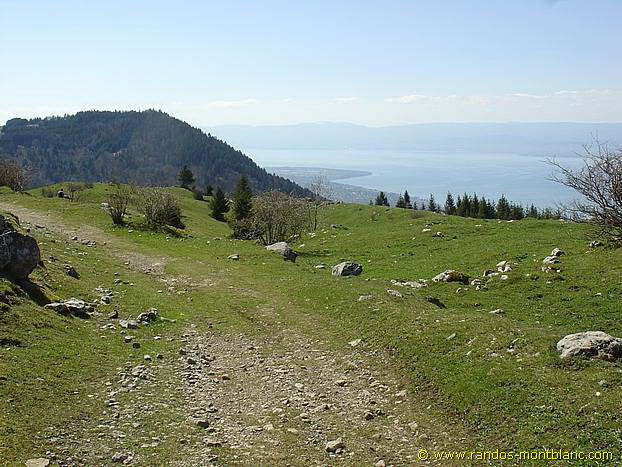 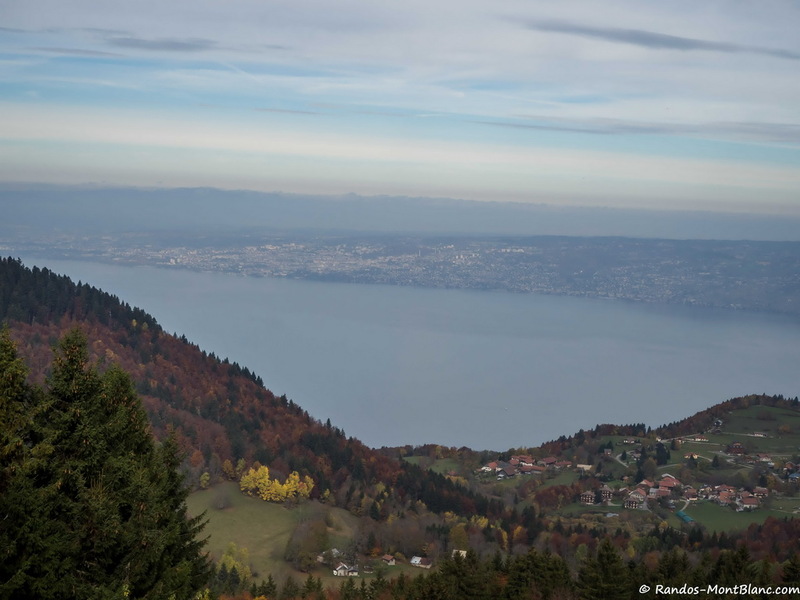 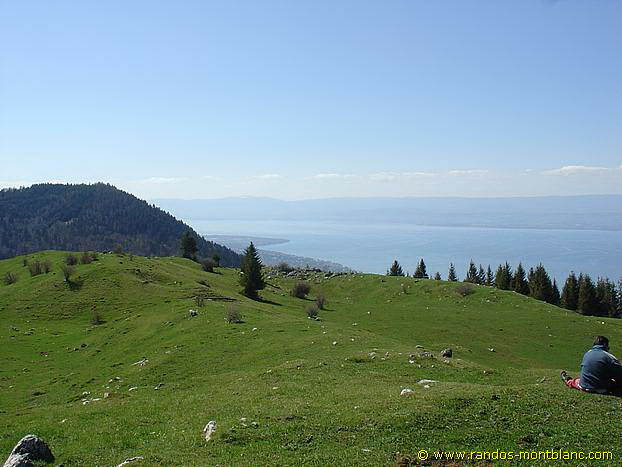 Along the trail, you will discover Lake Geneva, the Chablais, as well as the Jura Massif. 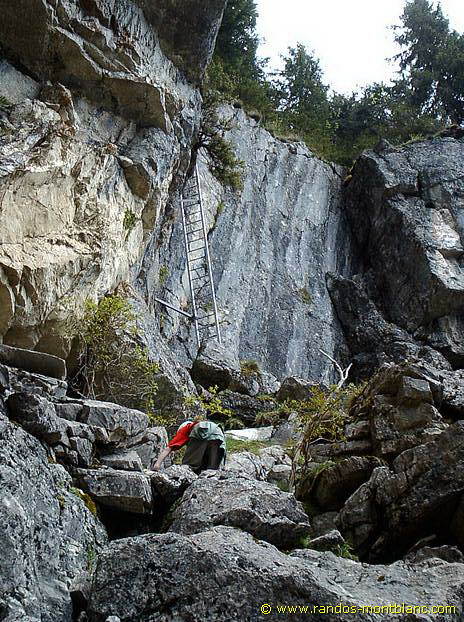 This route avoids the passage of the ladder. 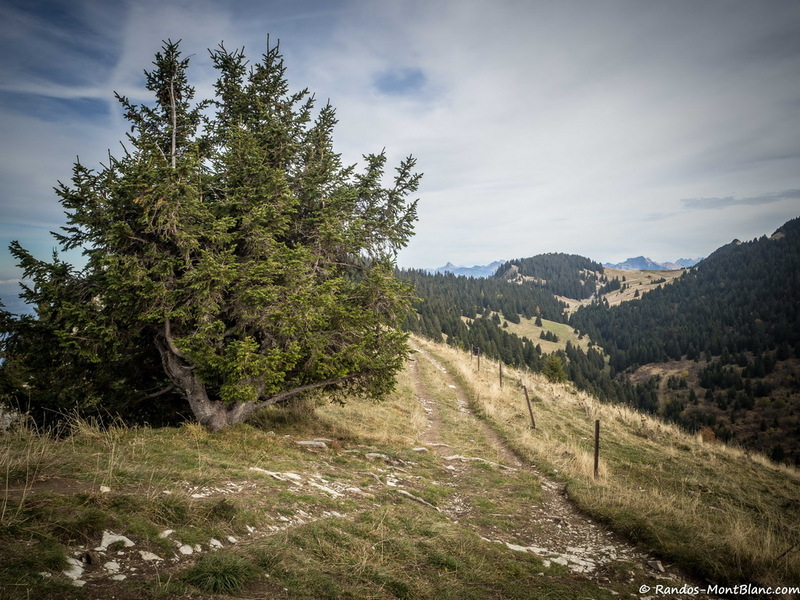 From the parking, take the rather steep path on the left going to “Pic des Mémises – Col du Pertuis.” After about ten minutes, you arrive at an intersection; Leave the footpath on the right and continue the one that gets into the forest. 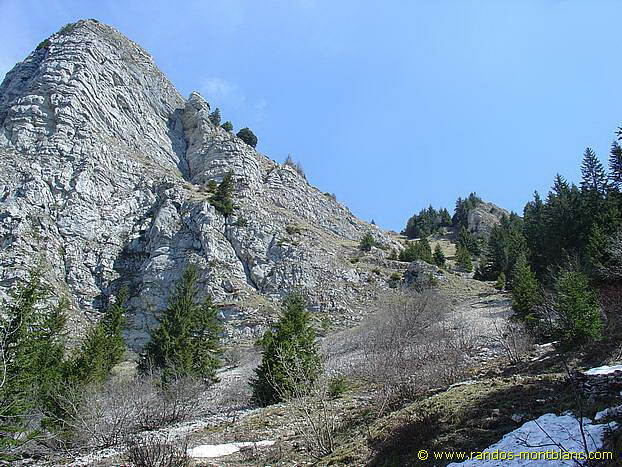 Later, the trail leaves the wood to climb the cliff to the Col du Pertuis where you reach the ladder path. 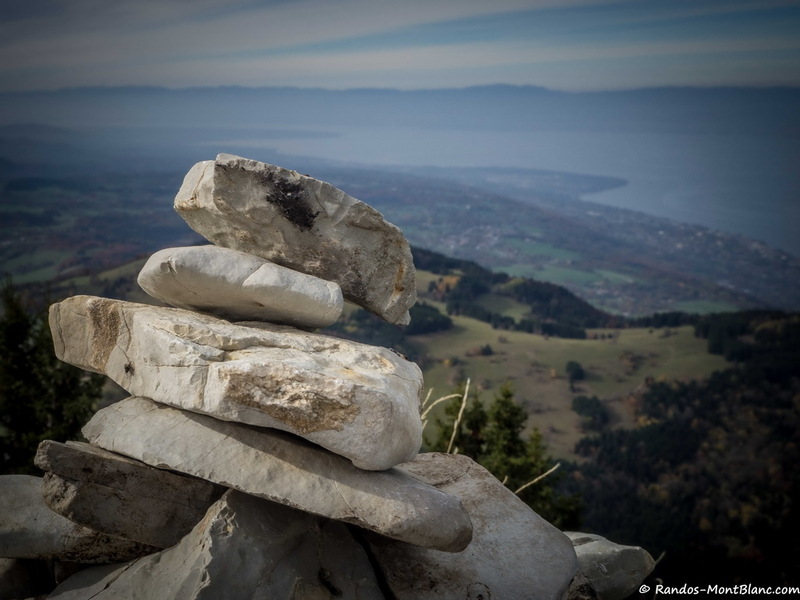 Proceed until Pic des Mémises. 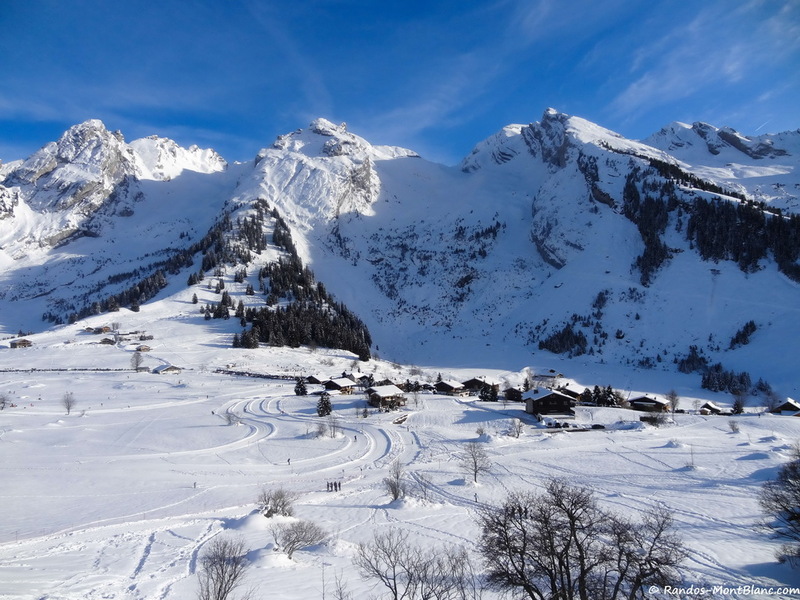 Continue on the ridge until the arrival station of the chairlift where you will turn left on the ski slope towards Thollon les Mémises. 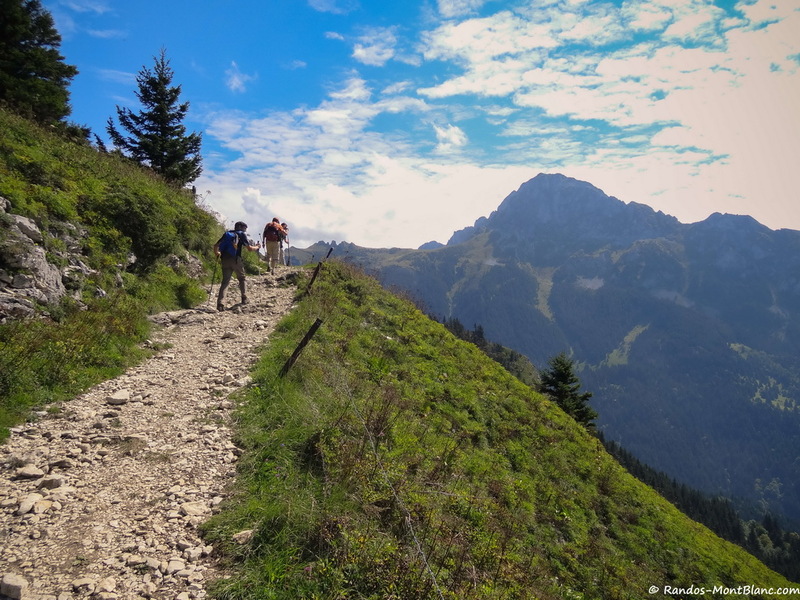 This pathway descends quite steeply in the direction of the alpine pastures up to a fork where you have to turn the left towards the “Bois de la Corne.” The path follows the cliffs of the Mémises. 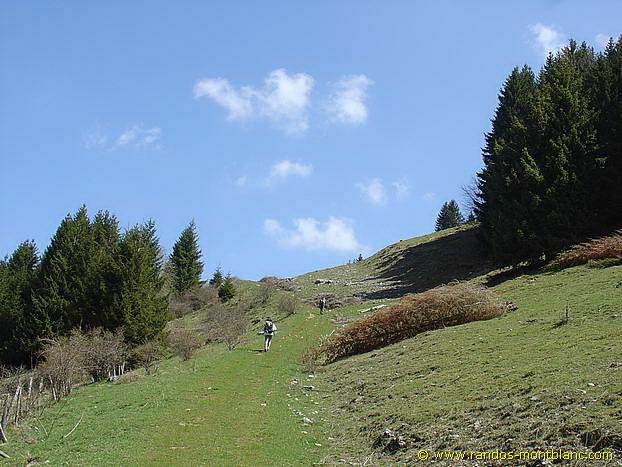 Overtake a drinking trough that allows refilling the flask. 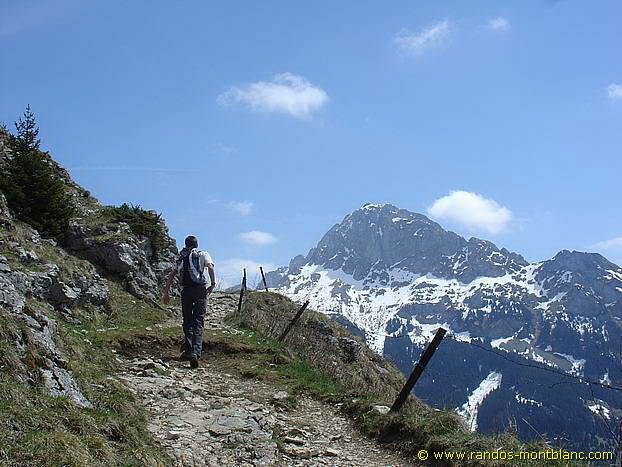 After about twenty minutes, you reach the parking lot.